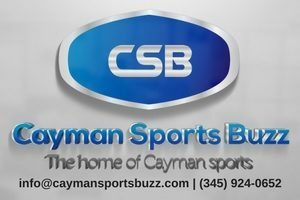 Home / Rugby / Cayman’s historic rugby win! 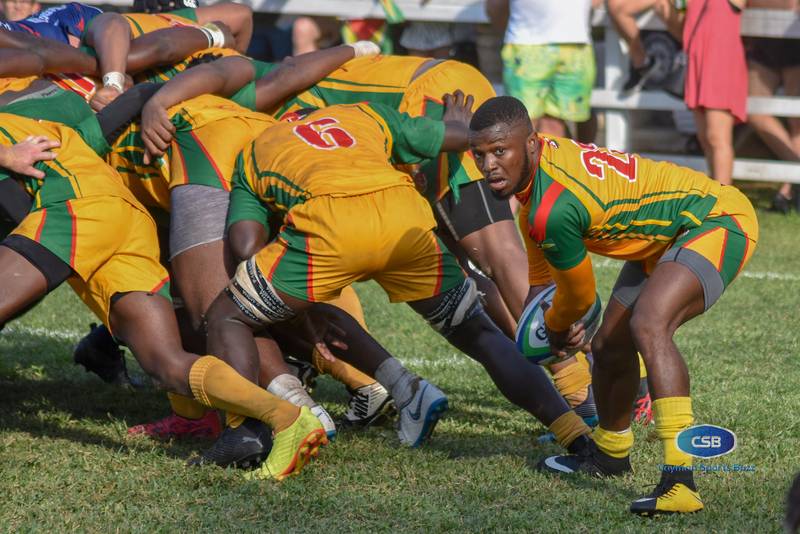 Cayman’s national XVs rugby team created history when they dominated Guyana in South Sound on Saturday, 9 February 2019 to advance from the regional group for the first time ever. 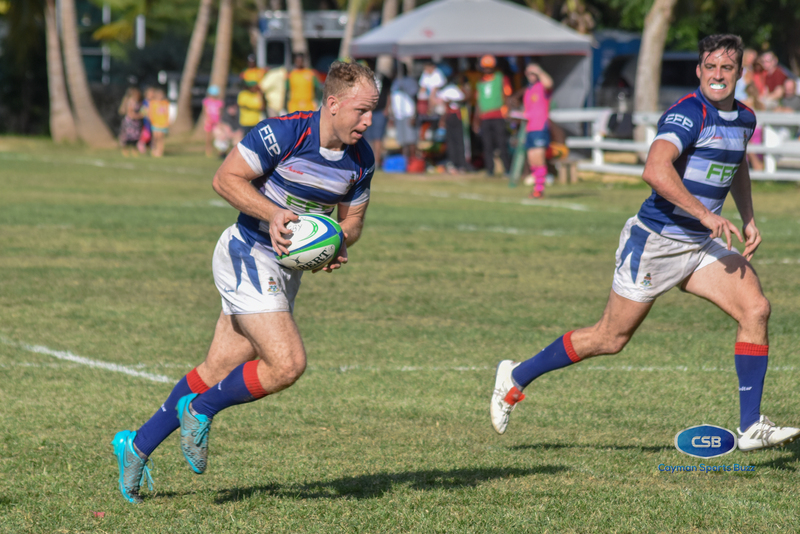 The Cayman Islands hosted their South American opponents in the playoff for the final spot in the 2019 Americas Rugby Challenge (ARCh) tournament and did not disappoint the home fans with a 58-14 rout. 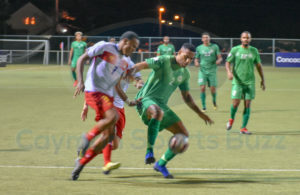 With the win, Cayman leapfrogged Trinidad and Tobago into ninth place in the Americas. The local lads struck early when scrumhalf David Stringer punched on in for a try, with Mikey Wilson, captain Killian Everard and Paul Westin also scoring tries. Added to that, the cool-headed Morgan Hayward with the kick conversions gave the hosts a 29-0 lead at halftime. Paul Westin dives for the emphatic finish. 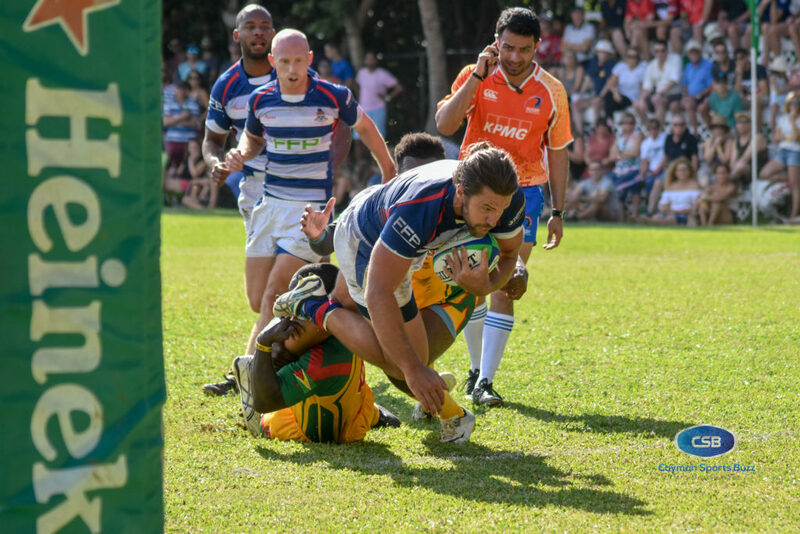 Ben Blair, Justin Wight, Westin, Barry-John Goude, and Shane Westin all had second half tries to put the game on ice, with Guyana’s Godfrey Broomes and Ronald Mayers scoring tries late when the game was already in the bag. 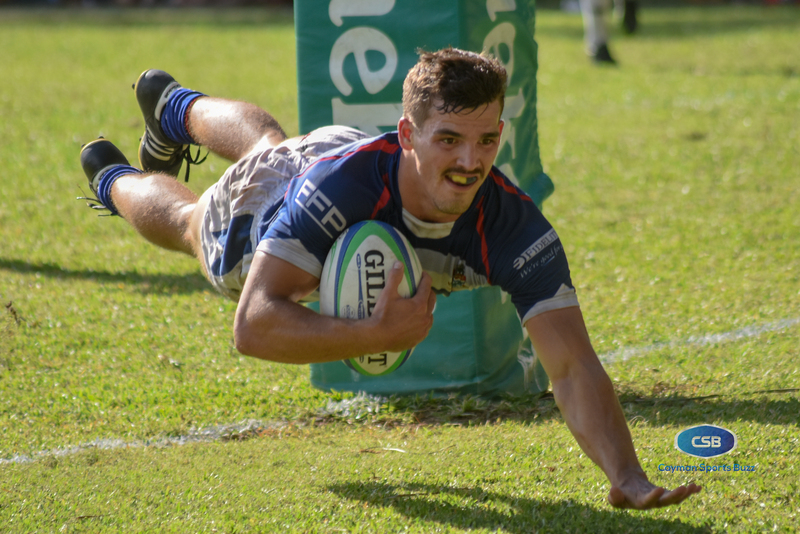 He admitted surrendering a game against a Cayman Select XV the week prior served as extra motivation to not let the home fans down. 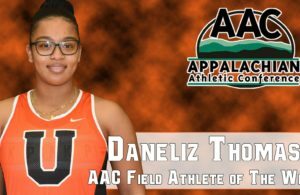 “That really lit a fire under us and really pushed us,” he said. When Wilson scored, Cayman was clearly in control. Head Coach Garry Southway said it came down to discipline and sticking to the game-plan. “I mentioned that if we stick to our pattern and our structure, then we know we can come out on top,” he said. 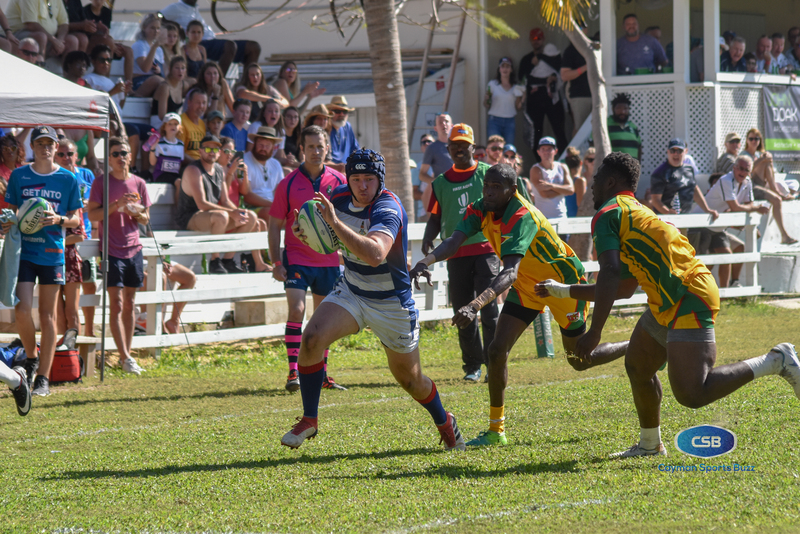 Adding to the atmosphere was the fact that the game was played at the Cayman Islands Rugby Club with Truman Bodden Sports Complex, the usual venue for international matches undergoing renovations for the CARIFTA Games in April. Fans were packed in close to the field, creating an intimate environment for both supporters and players. Southway said he looks to build on this big win, as he gets the players ready for their next challenge in the summer against tougher opposition. Guyana fought to the end. 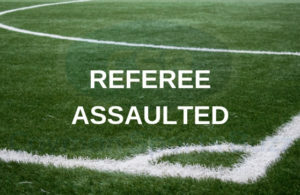 1 Jason Tyrell, 2 Glenroy Poole, 3 Rhondel McArthur, 4 Kevon David, 5 Vallon Adams, 6 Richard Staglon, 7 Jamal Angus (capt), 8 Clyde Powell, 9 Ryan Gonsalves, 10 Lance Adonis, 11 Selwyn Henry, 12 Godfrey Broomes, 13 Ronald Mayers, 14 Ryan Dey, 15 Joseph Rahaman. Replacements: 17 Phabian Joseph, 18 Grantley Williams, 19 James Osborne, 20 Sean Phillips, 21 David Garnett, 22 Jamal Darnell, 23 Osie McKenzie, 24 Walter George. See more photos at our Facebook page.